In honor of my upcoming trip to Turkey, I decided to try an authentic Turkish restaurant in downtown Raleigh. Troy Mezze Lounge is located in City Market at 317 Blake St. Arif Denk, owner of Troy Mezze Lounge is from the town of Troy, Turkey, hence the name of his restaurant. Arif greeted me with a smile and introduced himself when he saw me sitting alone at the bar reading a tourist&apos;s guide book to Turkey. He proceeded to offer me travel advice and even gave me a two-page list of authentic Turkish street foods I should try during my trip. I was extremely excited after talking to Arif about kebabs, baklava and gozleme, and I couldn&apos;t wait to start trying the authentic Turkish food at Troy Mezze Lounge. 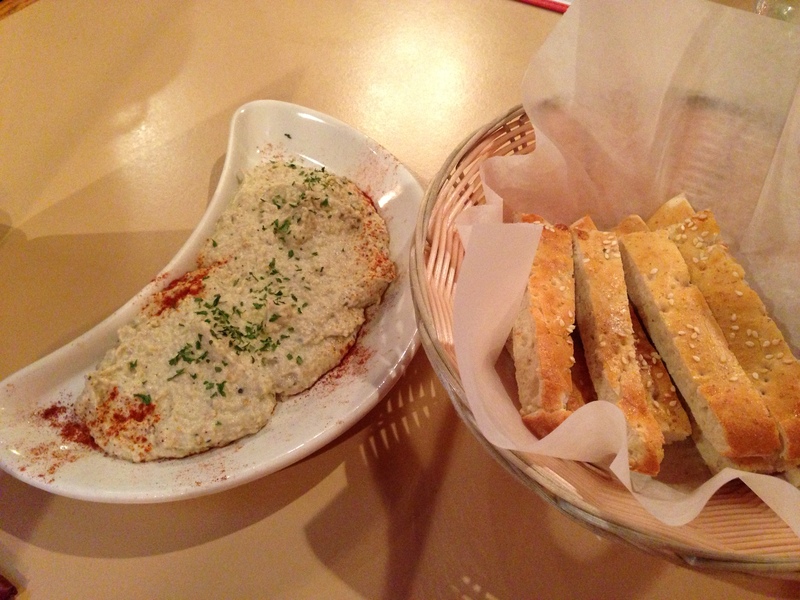 I started my meal with an appetizer of baba ganoush, which is eggplant mashed with olive oil and spices. The eggplant had a wonderful smoky flavor and I also loved the strong garlic aroma of the dish. Turkish bread is thick and fluffy, perfect for dipping into the delicious baba ganoush dip. I ordered the chicken clay pot, traditionally known in Turkish as Tavuk Guvec. Tender chicken is mixed with seasonal vegetables and cooked in special house spices. 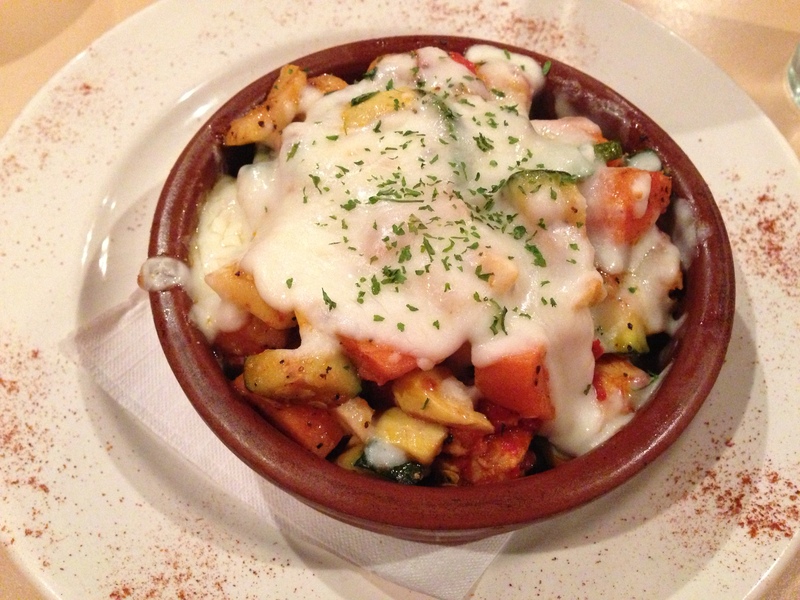 Of course, the cheese blend and fresh herbs used to top the clay pot dish made the dish even more sensational. Cheese is my weakness! The chicken clay pot was extremely filling and tickled my taste buds. Turkish food is unique due to the infusion of many different cultures into one cuisine. The spices and smells are pleasantly overwhelming. You will taste hints of Central Asian, Middle Eastern and Balkan cuisines in the dishes at Troy Mezze Lounge. Arif suggested I order a cup of Turkish coffee after my meal. Turkish coffee is known for being strong. Roasted and then finely ground coffee beans are boiled in a pot, then served in a small cup where the grounds settle. Arif told me numerous cultural stories about Turkish coffee. 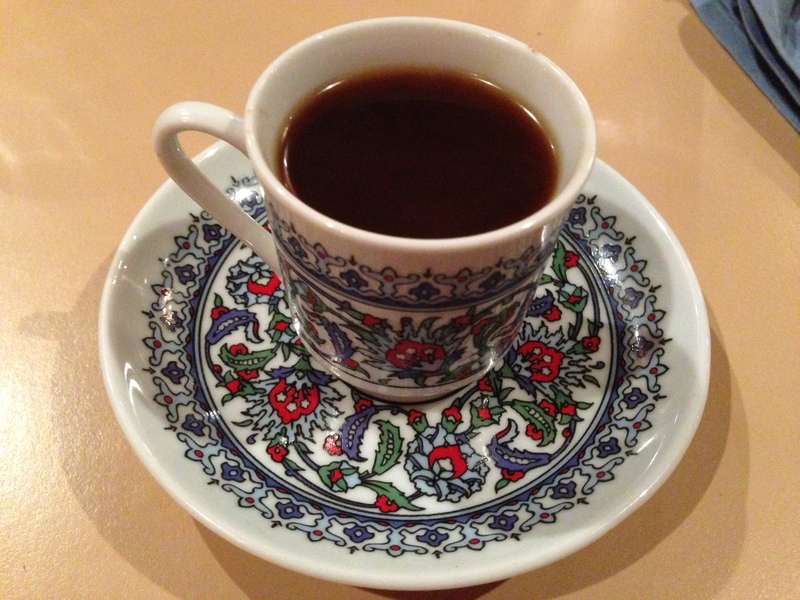 For instance, Turkish coffee is part of the traditional Turkish wedding custom. There are also many people who believe fortunes can be seen in the coffee grounds after finishing your cup of coffee and turning the cup face-down on the saucer. If you&apos;re looking for a quaint restaurant with delicious food and new cultural experience, please visit Troy Mezze Lounge. Not only will you enjoy authentic Turkish food, but you&apos;ll spend time learning about a different culture and traditions.